My server, like the rest of them, was dressed in a formal black suit. After browsing through the extensive wine list and choosing one, I perused the menu. The choices were simple: a chef’s tasting for the night or a fixed three course dinner. I chose the former. 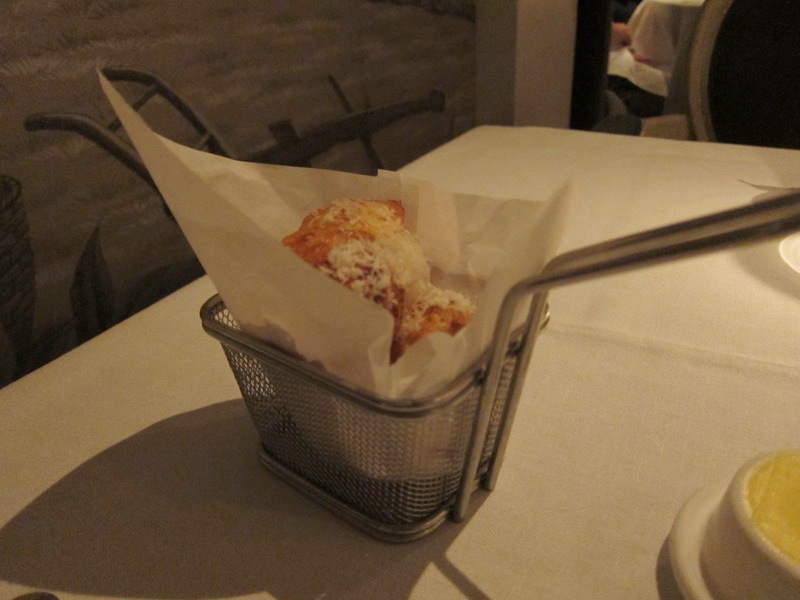 They quickly put some warm gougères, delicious morsels of melt-in-your-mouth choux pastry with grated parmesan. The foccacia from the bread basket was very good too. This was a good sign! Any restaurant that takes its breads seriously has to be good. 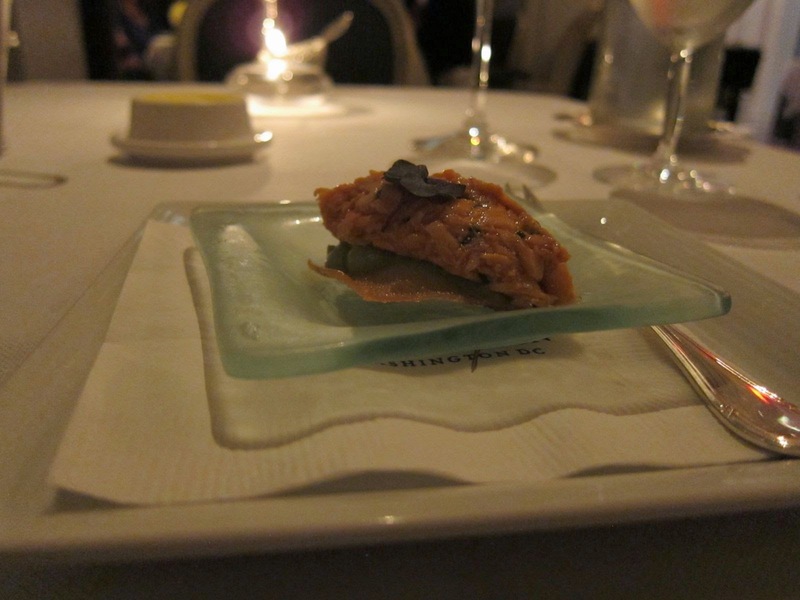 An amuse bouche of crab meat on a tortilla chip came next and served to whet my appetite further. 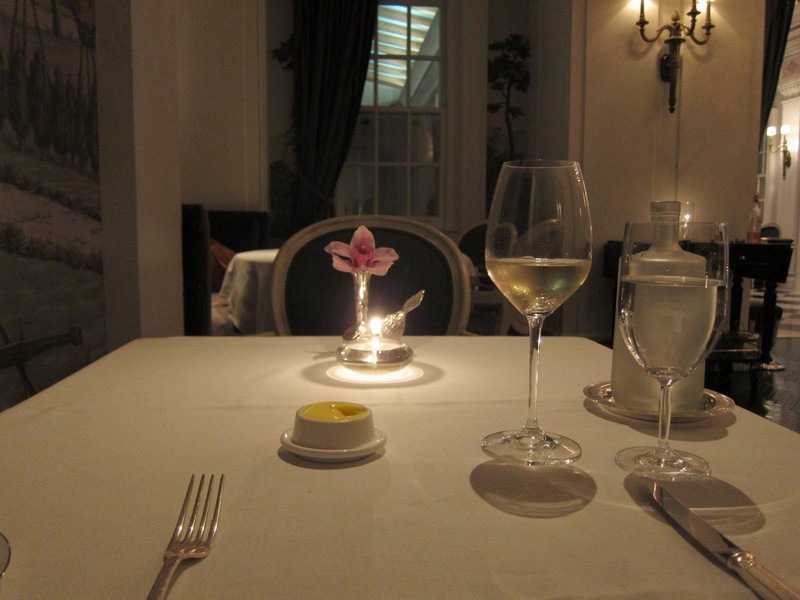 Then followed the first wonderful experience: the foie gras, which had me salivating. 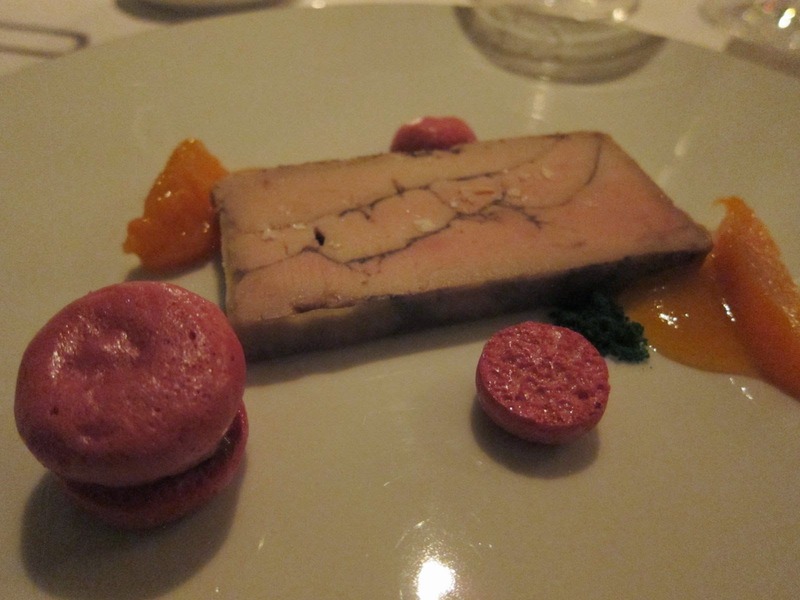 Velvety and smooth, the foie gras was perfectly enhanced by the apricot and hibiscus. 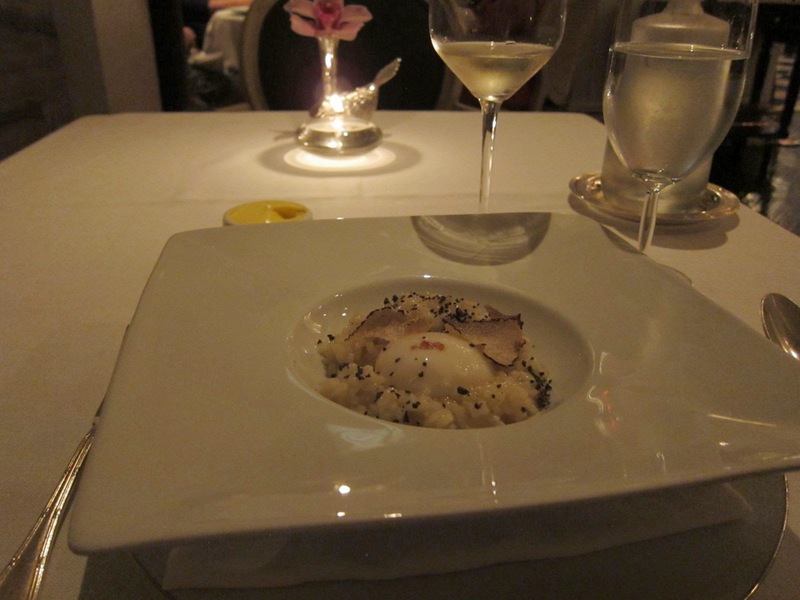 The Summer Truffle Risotto was next served with a slow-cooked Amish hen egg on top. While the risotto itself was good, the truffle (strangely) was underwhelming. 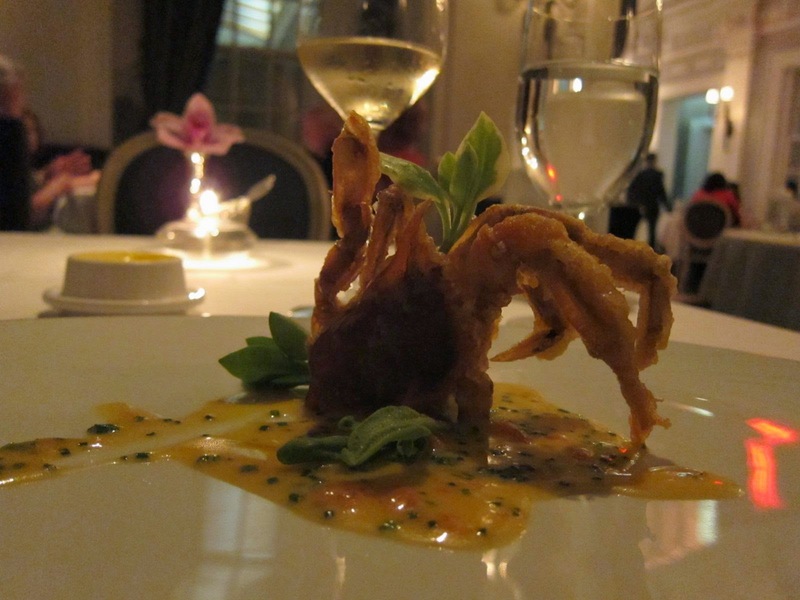 Up next was a soft-shell crab tempura that was served on chives, crystal lettuce, and citrus emulsion. This dish was flawless: crisp and tasty with complementing flavours and textures. I was now beginning to feel full but the main dish was yet to arrive! The herb encrusted lamb saddle was quite terrific. 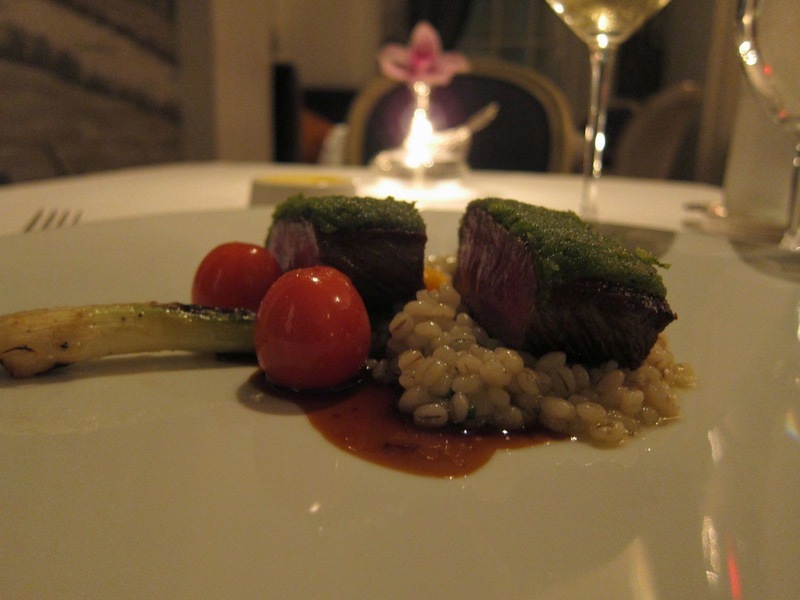 With oven roasted tomatoes, barley and spring onions, the lamb was cooked just the way I had ordered. The crust, the meat and the accompaniments worked perfectly for me. 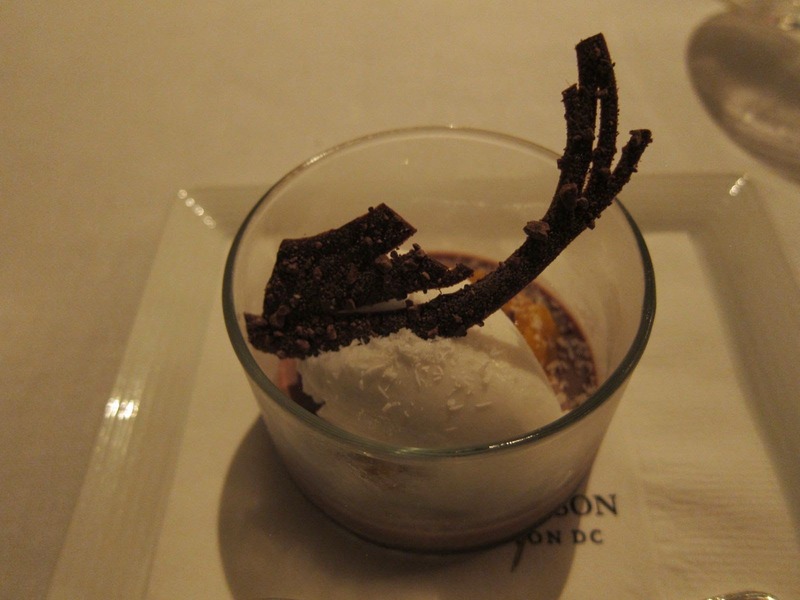 A 'pre-dessert’ of coconut ice-cream over bitter mousse now made its place in front of me before the real thing. 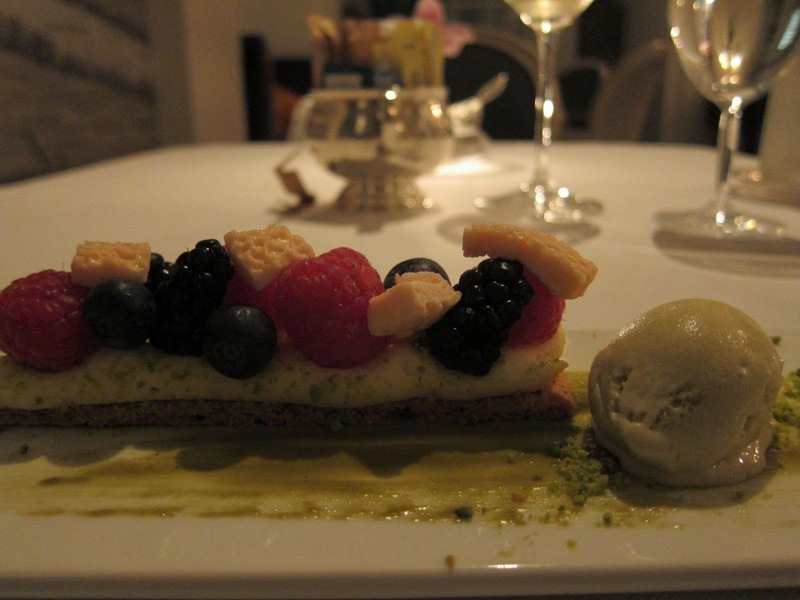 The red fruit lemon tart was beautiful to look at. Pistachio sable, frozen strawberry marshmallow and Sicilian pistachio ice-cream made it lovely on the palate too! Overall, Plume delivered. 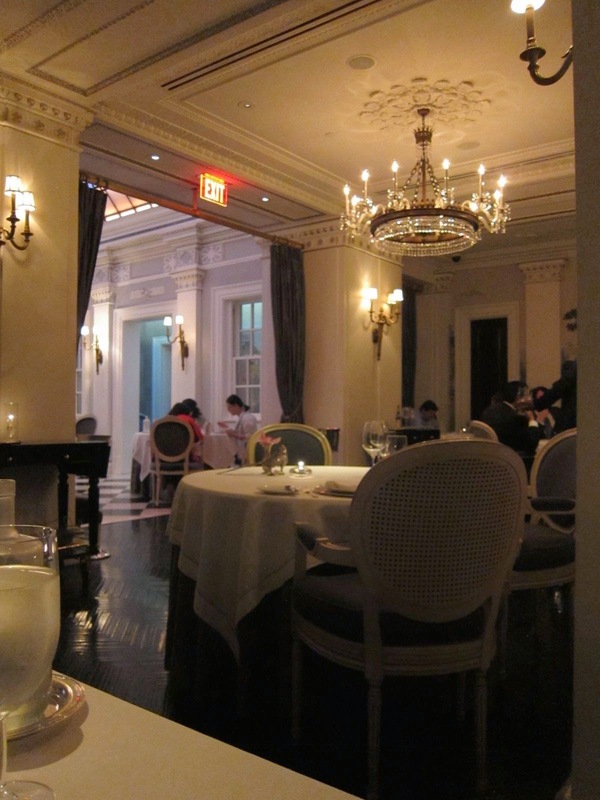 The ambiance, service and the food were top-notch. 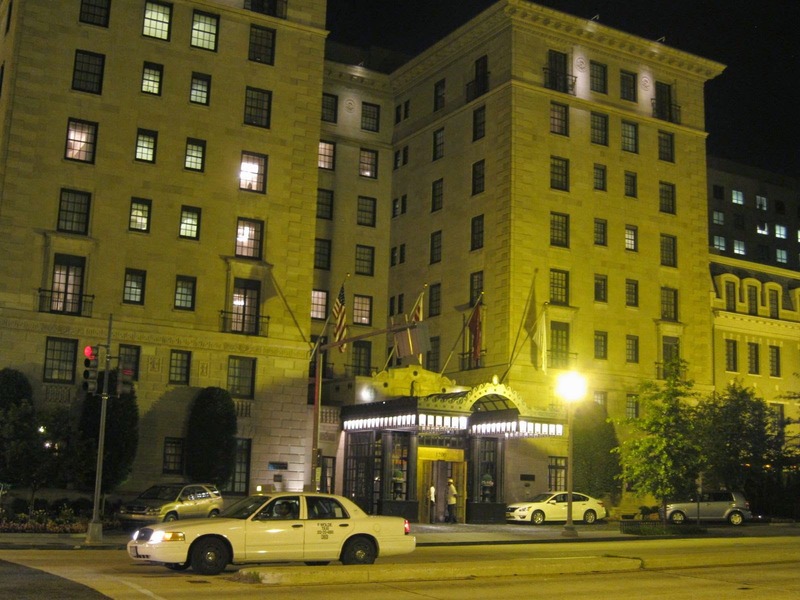 I hear that the one thing better than eating at Plume is staying at the Jefferson itself; will leave that for another time.